Tony Pulis hopes Britt Assombalonga can now push on after ending his goal drought and salvaging a “vital” point for promotion-chasing Middlesbrough with a last-gasp equaliser at Burton. The striker, a £15million signing from Nottingham Forest last summer, headed home from close range in the 90th minute after Jack Harrison’s effort had come back off the crossbar. That goal cancelled out Marvin Sordell’s early opener for relegation-threatened Burton and earned Boro a valuable draw in their bid to claim a play-off place. It was also Assombalonga’s first goal of 2018 and Boro boss Pulis hopes it will reignite the DR Congo forward’s season. Pulis said: “He’s got a goal now and that should spur him on. Rock-bottom Burton had looked set to claim their first home win since September after leading for 84 minutes thanks to Sordell’s fine finish. However, Assombalonga’s late intervention saw Boro claim a point which helps keep them in the thick of the play-off race. It is a different story for Burton, who remain bottom and with time running out to save themselves. Pulis had words of praise for his counterpart Nigel Clough, though, after seeing the struggling Brewers make things very difficult for the Teessiders. “Nigel Clough should get some great credit for what he has done here with Burton in the Championship. It is fantastic with the budget and facilities he has got and he deserves a lot of credit,” he said. “I have watched a lot of Burton’s games this season and in every game they all turn up and run around. We never got going today and they fully deserved to be winning the game. “They dropped in during the last 20 minutes and we got the goal that got us a vital point. We have gained a point on our rivals today. 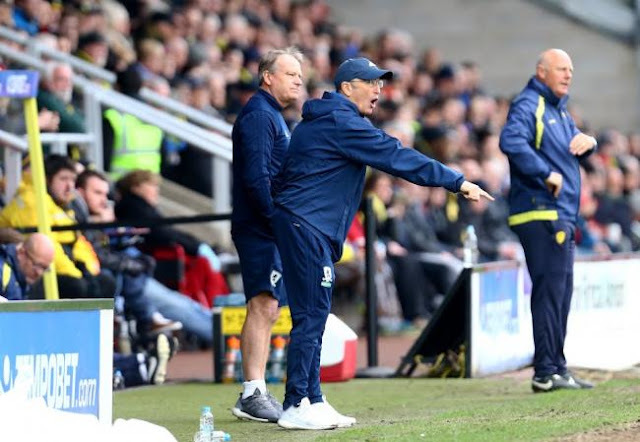 For Clough it was another bitter end to an encouraging display after Sordell had swept home Lloyd Dyer’s cross early on to raise hopes amongst the Brewers that they could end their 15-game winless run on home soil. Albion worked hard to restrict Middlesbrough to few clear chances but they did not get the rub of the green when Harrison’s effort came back off the bar. “If ever there was an instance of where the ball is not running for you and half an inch either way makes all the difference – which it did off the bar today – it’s an example of that. We feel that has been the case in a lot of games here this season,” Clough said.